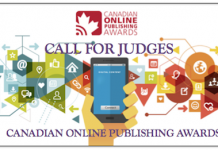 Due to the overwhelming interest in this year's competition, the winners of the Canadian Community Newspaper Awards (CCNAwards) will be announced on Monday, July 16, 2018. 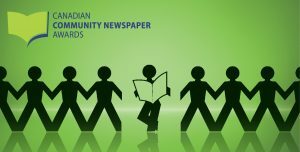 The winners list will be posted on the CCNAwards website at www.communitynewspaperawards.ca. This date is later than originally publicized on our awards page. News Media Canada appreciates everyone's excitement to learn about the results, and regrets the delay. Thank you to everyone that participated and submitted entries. Be sure to follow us on Twitter and Facebook to be among the first to be notified of the announcement. We look forward to recognizing the hard work in editorial, photography and multimedia projects produced by community and campus newspapers last year. 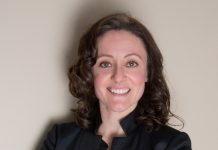 For more information, please contact Kelly Gorven, Awards Coordinator, at awards@newsmediacanada.ca.